Posted in entrees, Middle Eastern, recipe, savory by Antonio Tahhan on July 19th, 2009. You can follow any responses to this entry through the RSS 2.0 feed. You can leave a response, or trackback from your own site. Matt’s in the Market gets all the press, but I would highly recommend Chez Shea. They do a prix fixe menu that is reasonable and generous. Adorable little place and a nice view. Also, Place Pigalle or Maximillien’s have million dollar views and decent food. At least go for a cocktail! 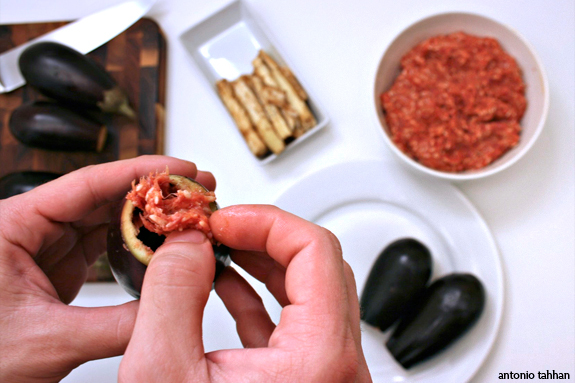 This is a very new way to stuff eggplants. I have never cored it! very clever idea & a great idea to use carrots too. Your food is so tempting. 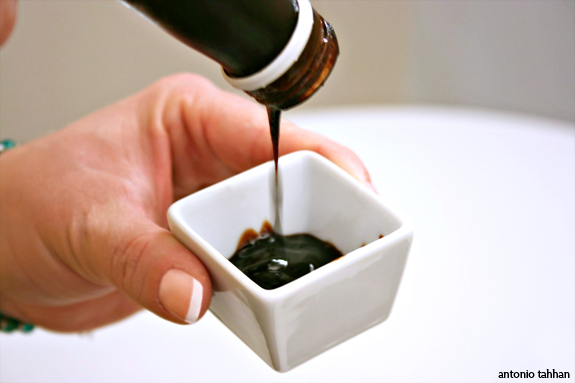 I especially love things with pomegranate molasses and tend to use it in pastry-making recipes once in a while. This is what I love about your blog — the wonderful dishes I discover! 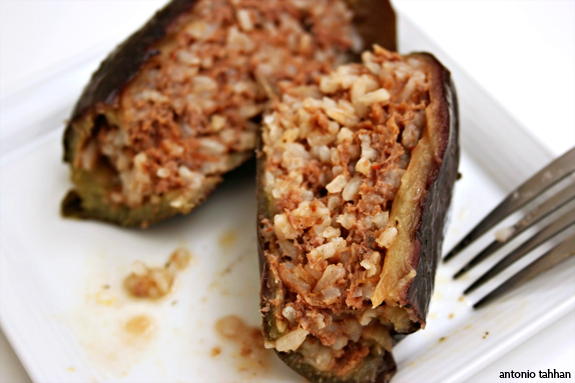 I have never come across this dish before though I love all stuffed veg dishes from the med/middle east…plus I love eggplants! Looking forward to the recipe…hope you are enjoying your trip! Hey I finally got to look at your site! It’s great! I could make a vegetarian version of this. It looks delicious! I think I found that fish you were telling me about. It is called the barreleye fish? It has a transparent head. It is really scary and I hope when I dive I never encounter one! That is the link so you can tell me if that is the fish. There is this place called Beth’s Cafe and they have an interesting food challenge that I think sounds fun. You have to eat a 12 egg omelette. I saw it on Travel Channel one time. Well I hope you are enjoying your trip! Hi again I just found another fish that could be what you were talking about. I am really interested in this fish if you can’t tell. It is the Mola or Ocean Sunfish. This is one of my favourite Mediterranean dishes. REALLY looking forward to seeing the recipe. Enjoy Seattle! For some reason I have not been to this site for a while and I will have to fix that pronto, pronto……wow, your site is a beauty and there are just so many things that I want to try!!!! I absolutely enjoy your posts every time! 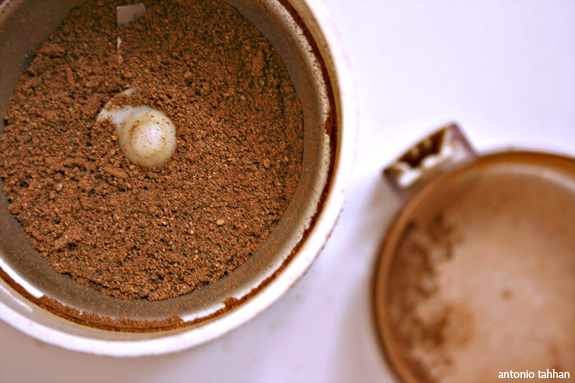 your pics are fabulous and the recipes are so clearly explained… Bravo!! 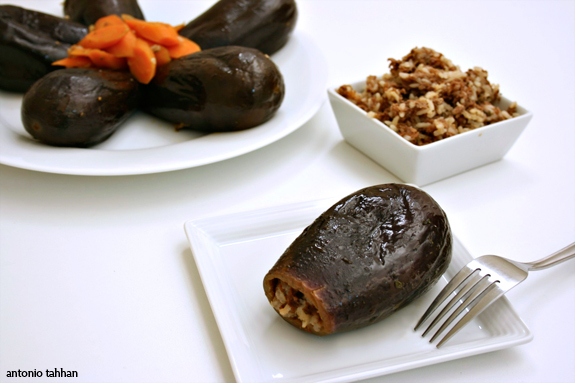 i love the idea of a stuffed eggplant, seeing as the stuffing possibilities are endless. nice to be back here. had been a long minute! glad ur well. Enjoy Seattle! Tony, I love that you stuffed the eggplants from the stem-end. I’m gonna have to try your method. Can’t wait to see your Seattle pics. I’m going soon. Great recipe, I guess I can use it to stuff anything. Oh well, you gotta do what you gotta do. It’s totally worth it. Speaking of… I just brought back some pomegranates picked fresh from my dad’s tree back home… If only I knew how to molassessise them! Can’t wait to try this dish. I have every ingredient bar eggplants that are NOT the size of my head. I adore stuffed eggplants! I just can’t stop myself from eating the entire batch! They get so creamy and delicious, and your version sounds so flavourful! Hi Joe, thanks for pointing that out. I corrected the recipe and added the garlic cloves 🙂 The way my family makes mahshee is by mincing the garlic cloves and adding them to the broth that the eggplants cook in. We tend to leave them whole for dishes like stuffed grape leaves. Next time I make mahshee with eggplants I will try out your family’s method with the whole garlic cloves – thanks for sharing that! Wow, these look amazing! Can I borrow your mom for awhile? 🙂 I’ve had stuffed everything but not eggplants, I will definitely have to give these a try. Thanks! 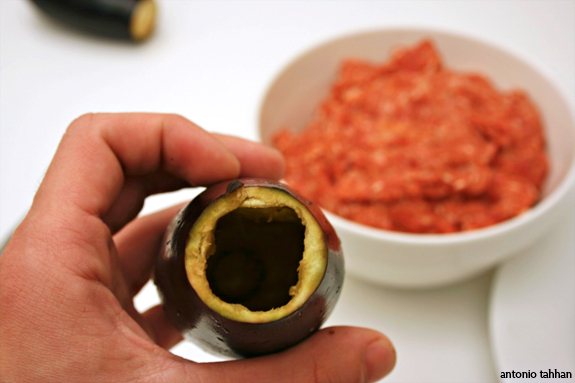 do you put stem back on top of eggplants or do you let the broth enter the eggplants stuffing as they cook? Krista: Good question. 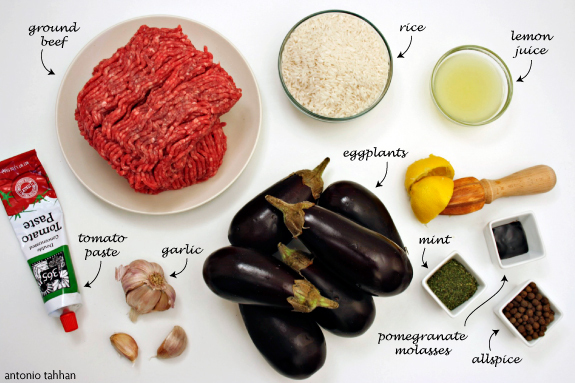 The eggplants should be cooked without the stems. 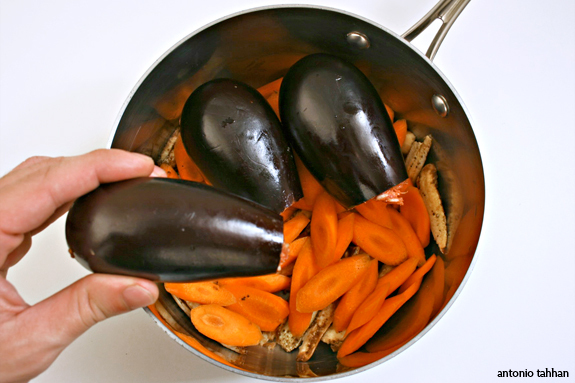 Remember to place a heavy heat-resistant plate over the eggplants as they cook. I hope this helps! i’m looking for a recipe for a dish that goes something like this. Can’t remember if it was Zucchini or eggplant, stuffed with ground lamb, onions, lightly toasted pinenuts in a kind of a shkrieh(yogurt) sauce. The Zucchini/eggplant is hollowed then fried in olive oil. Then stuffed with the lamb, onions and pinenuts. My grandmother used to call it the kings meal. seved with rice. Can you please e-mail me the way this dish is made. can’t remember how it’s made but remember that i soooooo loved it. thanks. My mother taught me this when I was young. She was born in Iraq but her family came from Syria. I learned both the Syrian and Iraqi way very delicious!